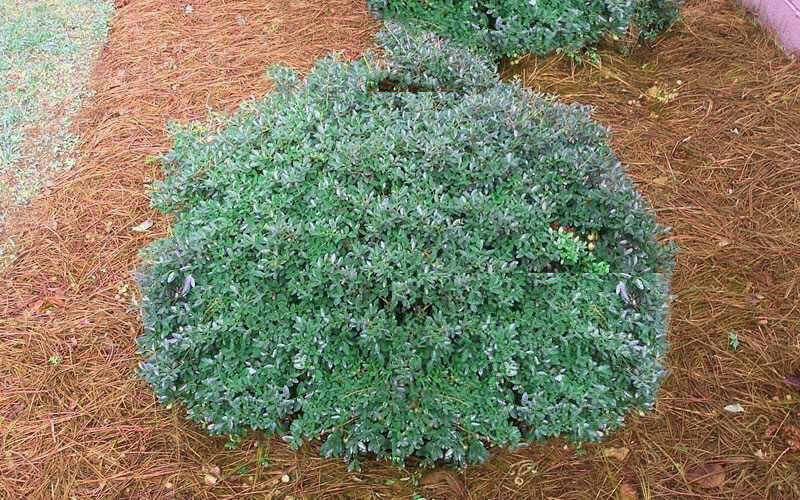 Schillings Dwarf Yaupon Holly is a handsome evergreen mounding shrub that is perfect for home foundation plantings. More details below. 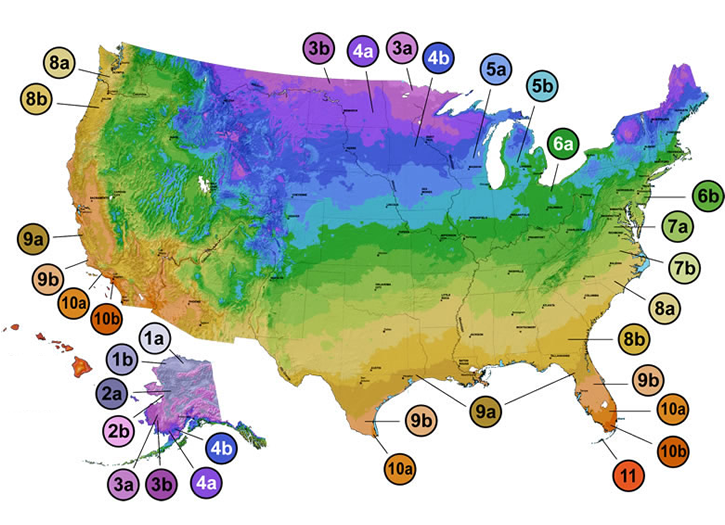 Note: For our customers who live and garden north of USDA Plant Hardiness Zone 7a, where this Yaupon Holly is not winter hardy, you'll be happy to know it can be grown in containers that can be brought indoors during winter and placed back outside when temperatures warm up in spring. 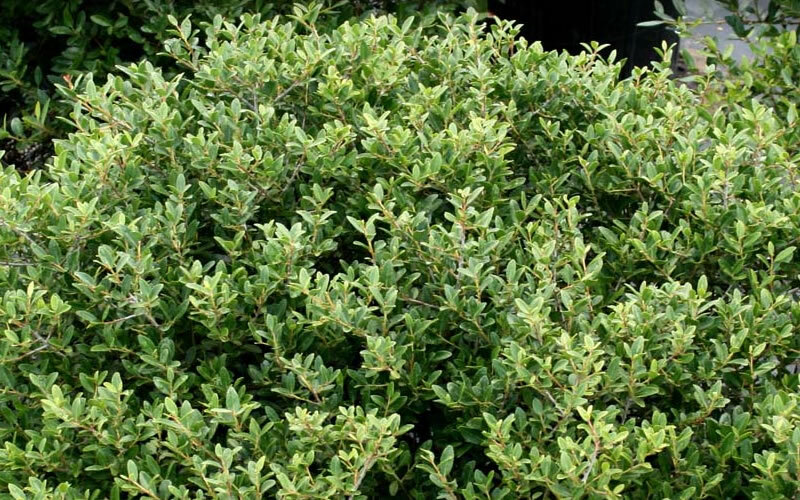 Schillings Dwarf Yaupon Holly is a handsome evergreen mounding shrub that is perfect for home foundation plantings. It grows to about 3-4 feet in height with a spread of about 4-5 feet though can be sheared to maintain a smaller size. Exceptionally hardy and long-lived. 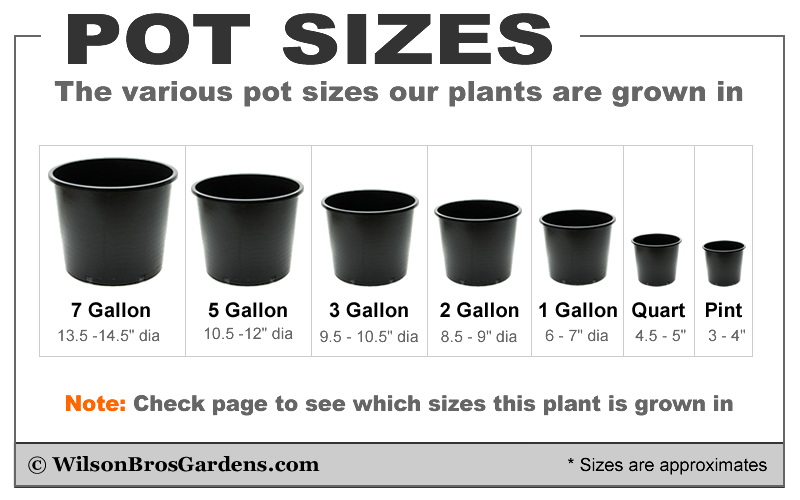 One of the best choices for home foundation plantings. 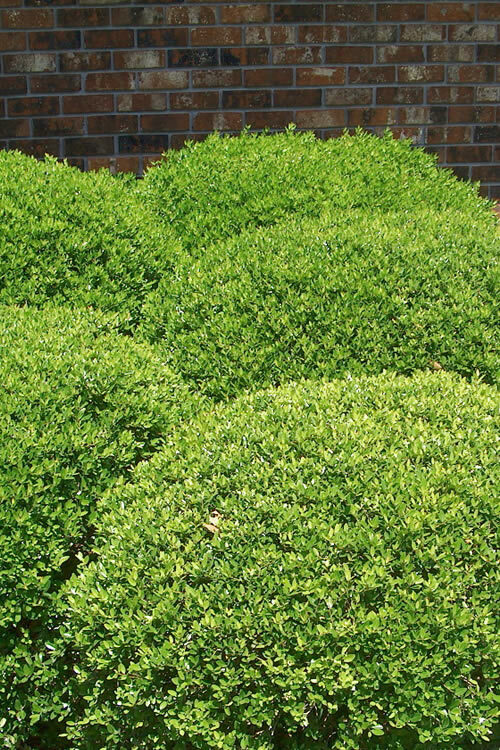 Its dense and mounding form 3-4 feet in height and 3-5 feet wide (depending on pruning), and the fact that it responds very well to shearing, makes the Schillings Dwarf Yaupon one of the best evergreen shrubs for use in home foundation plantings. 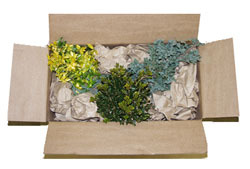 The shrub can be kept to about half its mature size with regular pruning or shearing. 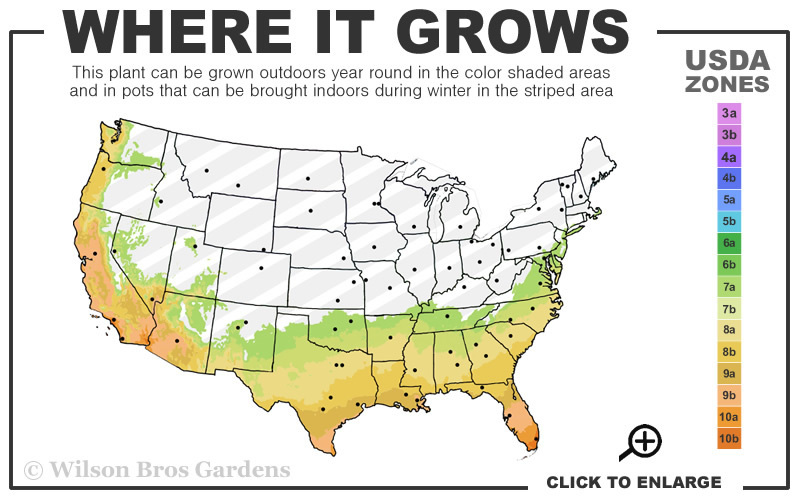 It can also be useful as an underplanting for mid-size trees such as Crape Myrtle and Japanese Maples, in groupings or mass plantings, or as a low-growing natural to formal hedge. Schillings Dwarf Yaupon is exceptionally easy to grow in most any average, moist but well-drained to moderately drained soil in full sun or partial shade. Yaupon hollies tolerate more moisture than other species of holly, making them a great alternative to Japanese hollies (Ilex crenata), which don't like wet feet at all. So, if you have a site that holds more moisture, and are looking for a low, mounding evergreen shrub to plant, yaupon holly might just be your choice. Dwarf yaupon hollies require no pruning however respond very well to shearing for formal hedges and various interesting geometrical shapes. 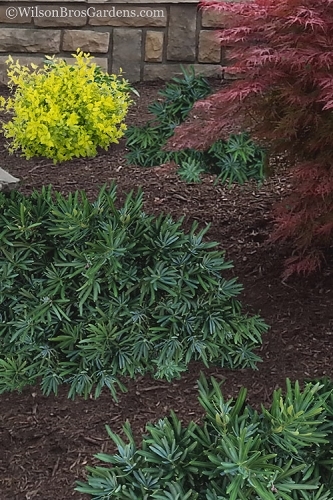 Click on the link below to find helpful advice from our experts on how to plant and water Dwarf Yaupon Holly shrubs.